The global spread of Islamic movements and the ascendance of a Chinese state that limits religious freedom have aroused anxieties about integrating Islam and protecting religious freedom around the world. Focusing on violent movements like the so-called Islamic State and Uygur separatists in China’s Xinjiang Province threatens to drown out the alternatives presented by apolitical and inwardly focused manifestations of transnational Islamic revival popular among groups like the Hui, China’s largest Muslim minority. This book explores how Muslim revivalists in China’s Qinghai Province employ individual agency to reconcile transnational notions of religious orthodoxy with the materialist rationalism of atheist China. Based on a year immersed in one of China’s most concentrated and conservative urban Muslim communities in Xining, the book puts individuals’ struggles to navigate theological controversies in the contexts of global Islamic revival and Chinese modernization. By doing so, it reveals how attempts to revive the original essence of Islam can empower individuals to form peaceful and productive articulations with secular societies, and further suggests means of combatting radicalization and encouraging interfaith dialogue. 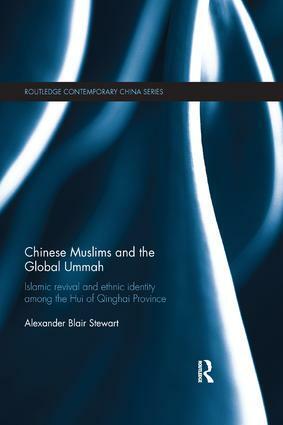 As the first major research monograph on Islamic revival in modern China, this book will be of interest to students and scholars of Anthropology, Islamic Studies, and Chinese Studies. Alexander Blair Stewart works at the San Diego Chinese Historical Museum and is Visiting Lecturer of Anthropology at the University of California, San Diego, US.